Kito's original free chain adjusting mechanism greatly improves the working efficiency. 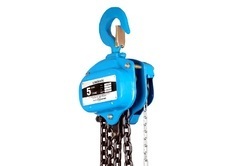 The grade 100 (1000N/mm2) chain features an unbeatable combination of toughness and resistance to corrosion & wear. The LEVER BLOCKS™ are made by Kito's reliable design which is superior to world standards. 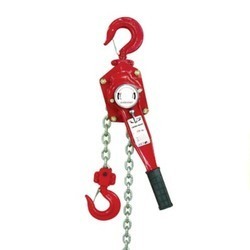 We are offering Ratchet Lever Hoist to our clients.